Paulist Fr. 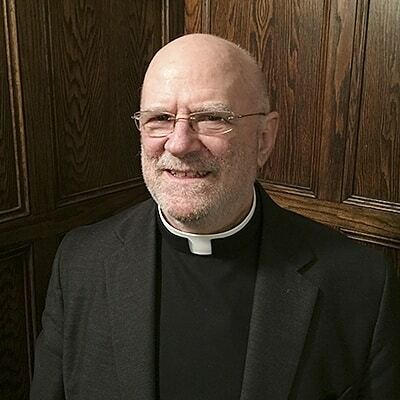 John Behnke has been vice president of the Paulist Fathers in May, 2014. He also serves as superior of the community's motherhouse in New York City. Fr. Behnke is a native of Syracuse, NY, and a graduate of of St. John Catholic Academy. Along with his five siblings, he attended St. Daniel Church in Syracuse and the parish school. His family moved to Pompey, NY, in 1962 and Fr. Behnke celebrated his first mass at Immaculate Conception Parish there. Fr. Behnke his final promises on Jan. 25, 1976, and was ordained on May 15, 1976, at the Church of St. Paul the Apostle in New York City. Since then, Fr. Behnke has served in parishes, campus ministry centers, and as the community's director of novices. “Being a Paulist has given me so many opportunities to reach out to others, people who have in turn touched my life,” he said. See photos from Fr. Behnke's decades of ministry at Pinterest.